Explore the audio-related sites listed in the Audio Guide. Use Diigo to bookmark at least three interesting sites (from there or other sources). 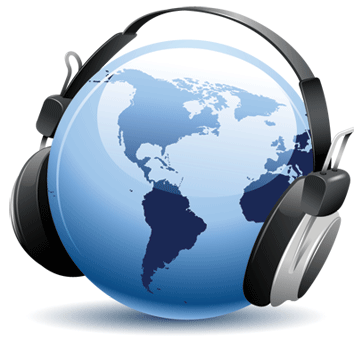 These can include audio activity sites, podcasts, audio utilities, or anything else that is related to the use of audio for language learning. Audacity should already be installed on your BUFS laptop. If not, you can download Audacity here. Record a short conversation or monologue about anything you like. - Export it as an mp3 file. Smart phones can be an easy way to record conversations in a language class. Andriod phones come with a default recorder and there are many free apps available for Android and Iphones. Task: Record some audio on your phone (this can be a short chat with your students, reflections on CALL so far, or anything you like). One of the issues with phone recordings is that they are sometimes saved in file formats (like .amr or m4a) that are not easily shared via Kakao, Band, or other apps. There are several ways to convert these files to friendlier formats. You can use online converters (listed on the Audio Guide) or upload your phone recording to your Google Drive and install the Driver Converter app by clicking 'Open with/Connect More Apps/and find 'Drive Converter'. I suggest converting that file to an mp3 file. You can also install the Clyp.it app and record that way (although you will not be able to download an mp3 and/or edit the file). Register at Voki.com, create a Voki chatbot, and post it on your blog.